A Kickstarter campaign named London Design Festival 2016 has been launched and it aims to bring Architects and designers to propose an innovative design for a golf course. The project titled ‘Visionary Crazy Golf’ is aimed to be one of the most popular festival landmark projects. London Design Festival (LDF) hopes to raise £120,000 to realize the project in the annual design event. 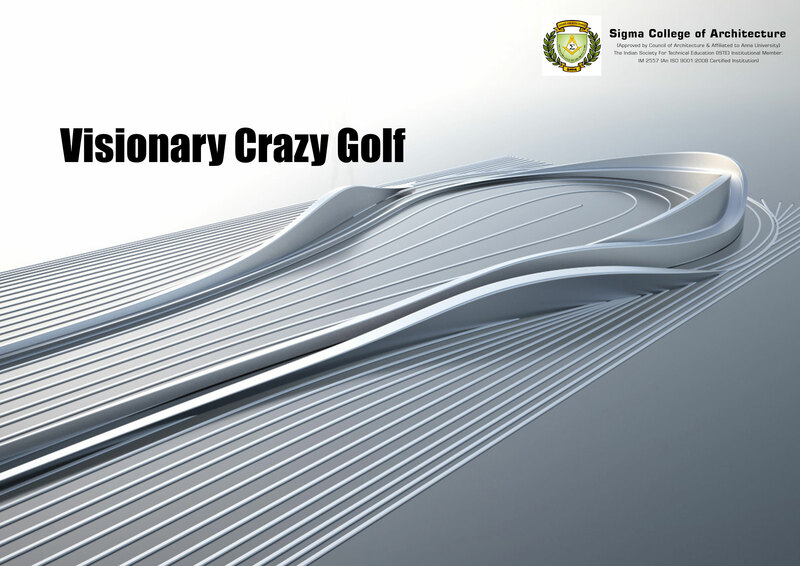 The entire golf course will be designed by numerous Designers and Architects. • The section of the course designed by Paul Smith will transform the Trafalgar Square steps into a series of brightly coloured cascading lanes with a Neo-classical clubhouse. • Zaha Hadid Architects aims for a characteristic undulating form to a two-tiered range planned between the square's lion statues. • Ordinary Architecture has designed a hole modelled on a cross-section of one of the square's famous pigeons, where the golf ball travels through the bird's digestive system. • Mark Wallinger who previously created a sculpture for the empty fourth plinth in the square has devised a twisting maze. • HAT's proposal is for construction hoist that drops balls down a track, rewarding the most successful shots with a glass of whiskey.